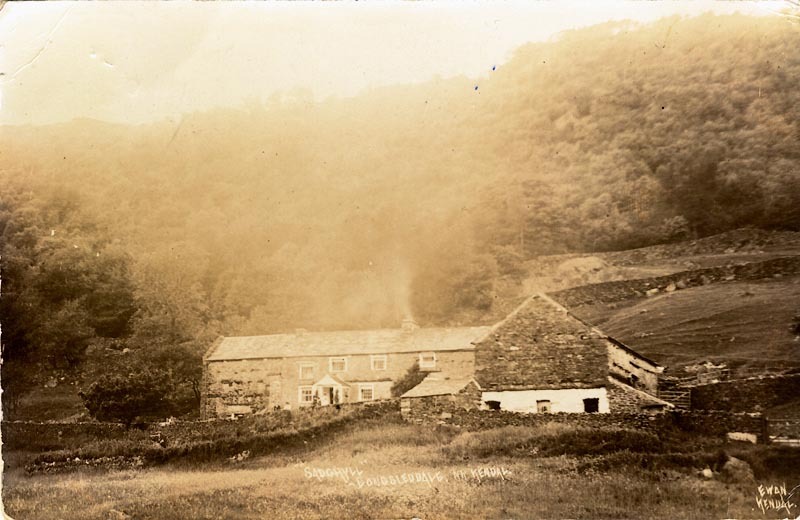 Postcard, sepia-toned photograph of Low Sadgill with Sadgill Wood behind, titled "SADGHYLL LONGSLEDDALE, NR KENDAL" and by "EWAN, KENDAL". On the back, the message is a Christmas greeting and is signed "S. Black", probably Susanna Black of Toms Howe. 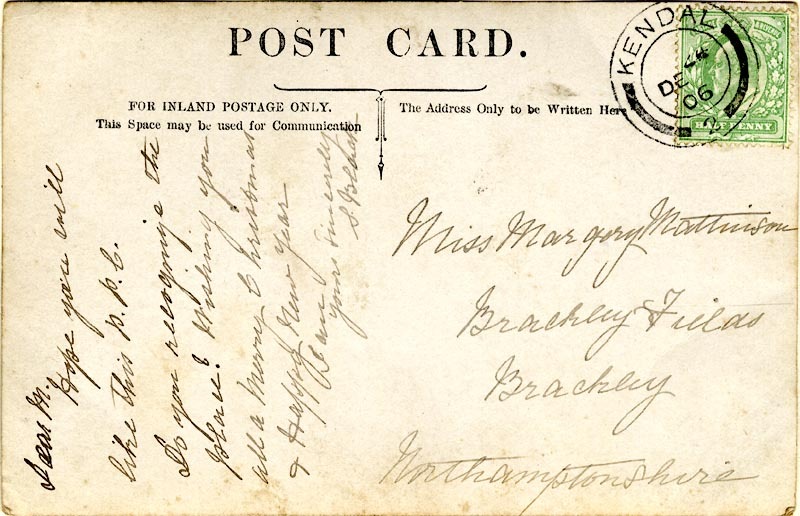 It was posted in December 1906 in Kendal to "Miss Margory Mattinson" of Brackley Fields, Northamtonshire. This is Edith Margory Mattinson; she was the daughter of Joseph Mattinson from Skelsmergh Hall (descended from Michael Mattinson of Sadgill) and Ann Morton, who are buried in Longsleddale.